People have different ways of commemorating persons or events or maybe showing love to others, one of the majorly applied methods being the use of custom sunshine plaque. This is an ornamental tablet, which is made of wood. It usually consists of words or rather a message, which is to be dedicated to someone. 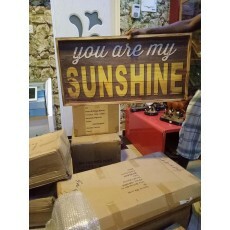 Sunshine plaque is an item that is fixed to a wall or any other surface, where the message written on them can be well seen and read by your loved one. Even though long ago people used a word of mouth to express love to others or commemorate places, sunshine plaques are more effective in that the message portrayed won’t be forgotten and neither will it be erased. Our products are sold at very affordable rates, and at times if it’s very necessary, we assist with transporting and installation. This, however, applies to a selection of items. Buy the most beautiful and classy plaques today.